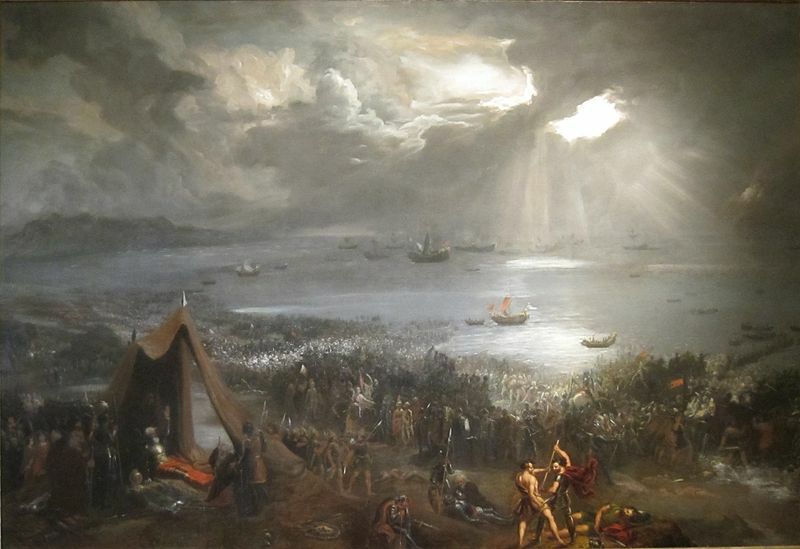 Introduction: The significance of the Battle of Clontarf in Irish history and historiography is more apparent than ever during this millennial anniversary. While a lively debate has continued for decades between Irish historians concerning the impact of the battle, Clontarf’s place in a wider field of European events has received less attention. Perhaps the time is ripe to explore Hiberno-Scandinavian and overseas perspective on the bloodletting that took place in the north of Dublin bay. Sitric Silkenbeard, king of Dublin, could be turning in his grave if he knew how much historians would focus on his arch rival Brian. Popular claims that Brian expelled the foreigners from Ireland nearly airbrushed the remainder of Sitric’s reign from popular memory. However Sitric who came to power in the early 990s tenaciously held his position in Dublin until 1036, outliving Brian by over two decades. Sitric’s legacy is impressive, he has the first king in Ireland to mint coins in his own name, and poets came from afar afield as Iceland to compose verse his honour, Sitric went on pilgrimage to Rome and is regarded as the founder of Christ Church cathedral. However, all that seems to pale into insignificance compared with Brian’s fame. Sitric may be condemned in popular memory to be the loser of the battle with a frivolous byname. Sitric’s activities after Clontarf could indicate that business in Viking Dublin carried on as usual, and to foreign eyes the impact of the battle was not so great. However a fascinating range of sources reveal that stories about Clontarf excited interest across Northern Europe. Evidently the conflict was much more than an internal squabble between an Irish over-king and some reluctant subjects. To understand this wider circle of interest, it is necessary to review Dublin’s place in the political and economic networks of Viking Age Europe. Both archaeological and historical evidence indicate that Dublin had a wide range of links as a trading emporium. Brooches, animal skins, and slaves were among the goods traded out from the town, while imports included silks, spices and amber. The economic success of Dublin gave it political significance. Across the Irish Sea, Dublin kings were embroiled in affairs in the Kingdom of the Isles (including Man and the Hebrides), Britain, Scandinavia and the Continent.